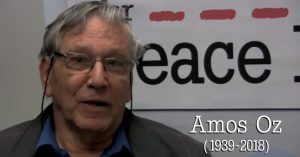 Americans for Peace Now (APN) sends its condolences to the Oz family and to the people of Israel, who today lost Amos Oz, a literary giant, a beacon of morality and humanity, and a founder of Israel’s peace movement. 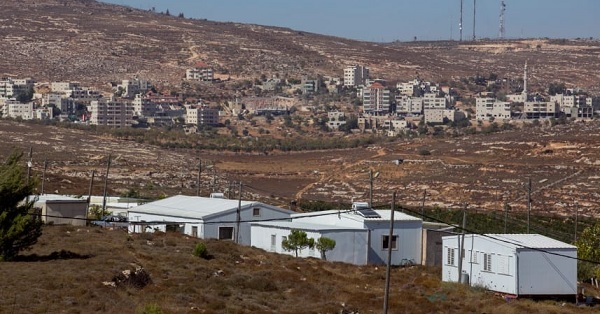 The government of Israel seems to be on the verge of legalizing scores of illegal settlement-outposts in the West Bank and making it dramatically easier for Israeli settlers to construct more such outposts on privately-owned Palestinian land. APN is alarmed by these dangerous developments. We call on the Trump administration, as well as friends of Israel in the United States and worldwide, to tell Prime Minister Benjamin Netanyahu that more West Bank settlements are not the answer to terrorism and that they further jeopardize Israeli-Palestinian peace. Americans for Peace Now (APN) joins its Israeli sister-organization Shalom Achshav (Peace Now) in condemning this week's Palestinian terrorist attacks in the West Bank and East Jerusalem and in urging both Israeli and Palestinian leaders to prevent further escalation. APN sends its condolences to the families of the victims of this week's attacks and wishes a full recovery to those injured. 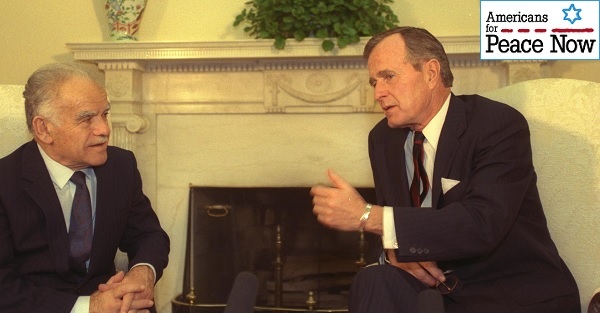 Washington, DC – Americans for Peace Now (APN) mourns the passing of President George H. W. Bush and salutes his legacy of efforts to advance peace between Israel and its neighbors. 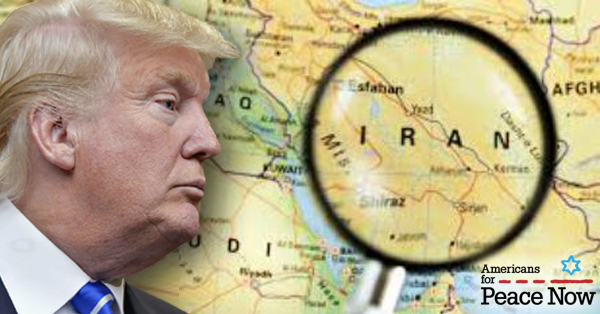 Americans for Peace Now (APN) opposes the Trump administration's decision to reimpose sanctions on Iran, a step that jeopardizes both American and Israeli security and is likely to embolden Iran's hardliners. Following President Trump's decision in May to place the United States in violation of the Iran nuclear deal, his administration today reimposed sanctions intended to cripple Iran's economy. Americans for Peace Now (APN) is devastated and outraged by the mass shooting murder at Pittsburgh’s Tree of Life congregation. We offer heartfelt condolences to the families whose loved ones were killed and wish full recovery to those injured. 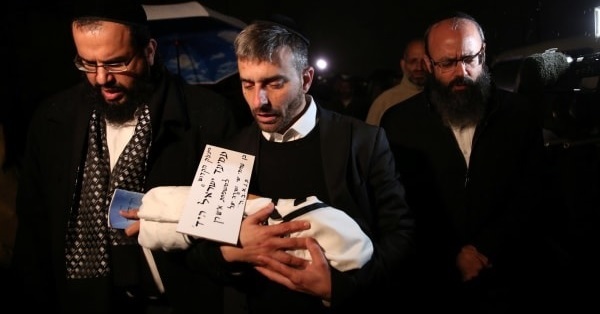 This mass shooting is likely the deadliest attack on the Jewish community in US history, according to the Anti-Defamation League (ADL). 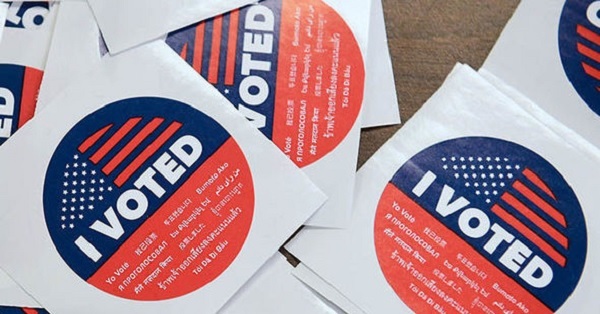 As an American Jewish organization, APN is extremely concerned by rising anti-Semitism in the US and worldwide. APN strongly condemns the Trump Administration’s decision to subsume diplomatic outreach to the Palestinians into the US embassy to Israel. We call upon fellow American Jewish organizations to join our demand that Secretary of State Mike Pompeo reverse this disastrous decision. 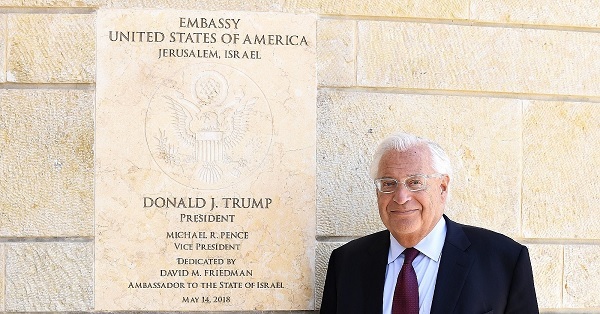 Turning the US consulate to Jerusalem, which until now has served as a de facto embassy to the Palestinians, into a “new Palestinian Affairs Unit inside US Embassy Jerusalem” (to use the language of today’s State Department press release) is a severe blow to efforts to achieve peace between Israelis and Palestinians. 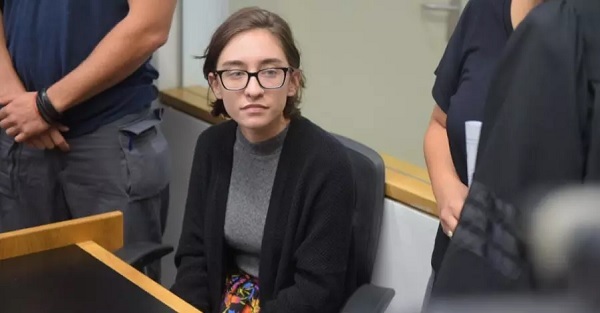 APN to Israel's Government: Let Lara Alqasem In! Washington, DC – Americans for Peace Now (APN) calls on the government of Israel to permit entry into Israel to Lara Alqasem, an American of Palestinian descent who received a student visa from an Israeli consulate in the US to undertake a master’s program at Hebrew University.